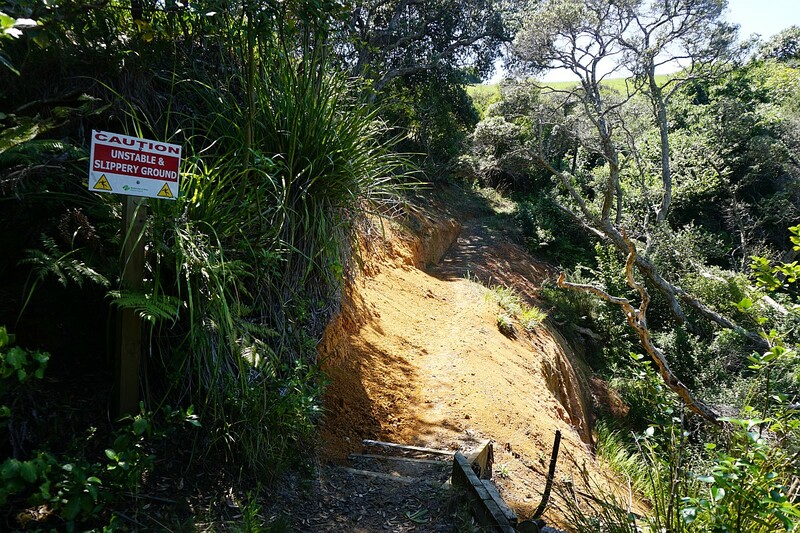 Note: The Kauri Point bush walks were closed in early June 2017 due to slips along the waterfront cliffs after heavy rain. More details on Bay of Plenty Times web site. 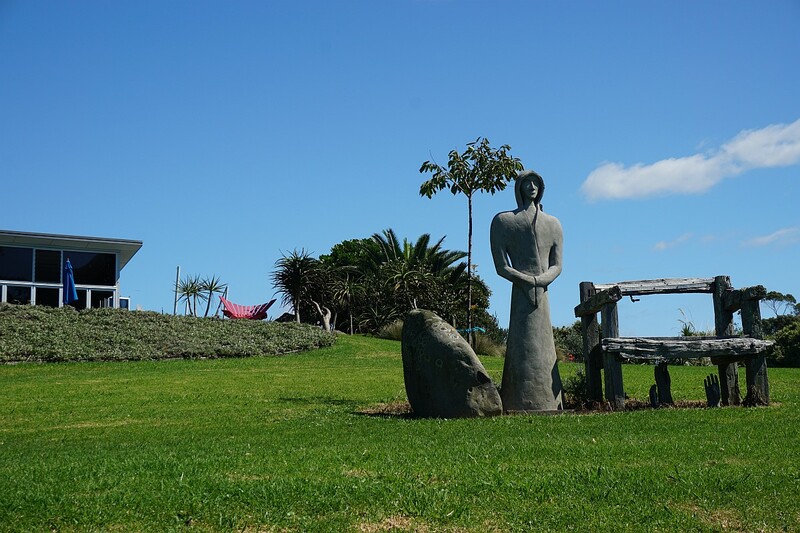 Kauri Point, Ongare Point, and Tuapiro Point are all located on the same peninsula in the Tauranga Harbour, north of Katikati. 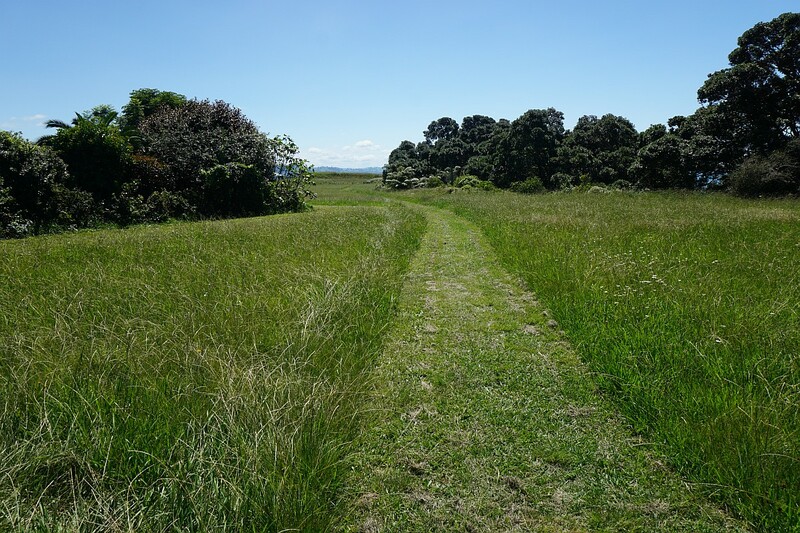 A walkway along the coastal reserve joins Kauri Point and Ongare Point, and continues along the full length of both small settlements. The walk can, of course, be started at either end. Most of the track is on open land, with easy contour and little vegetation for shade. 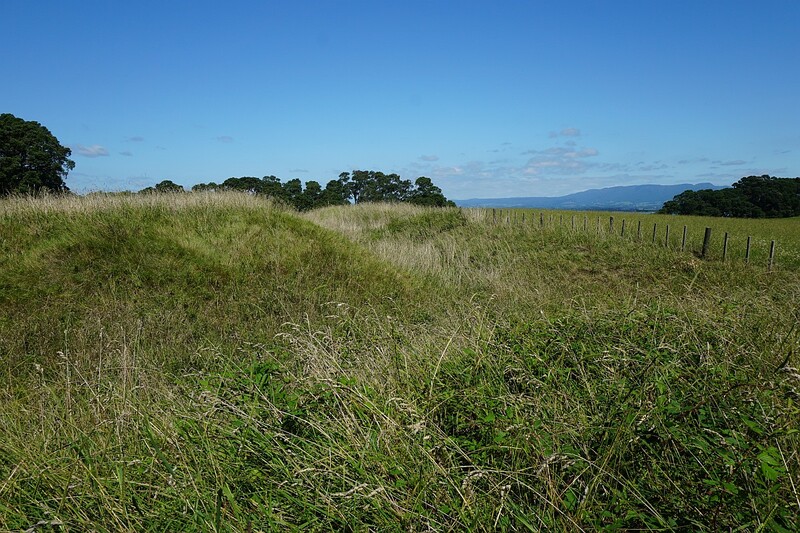 Only the southern end along the coastline at Kauri Point is steep in places and mostly under tree cover. 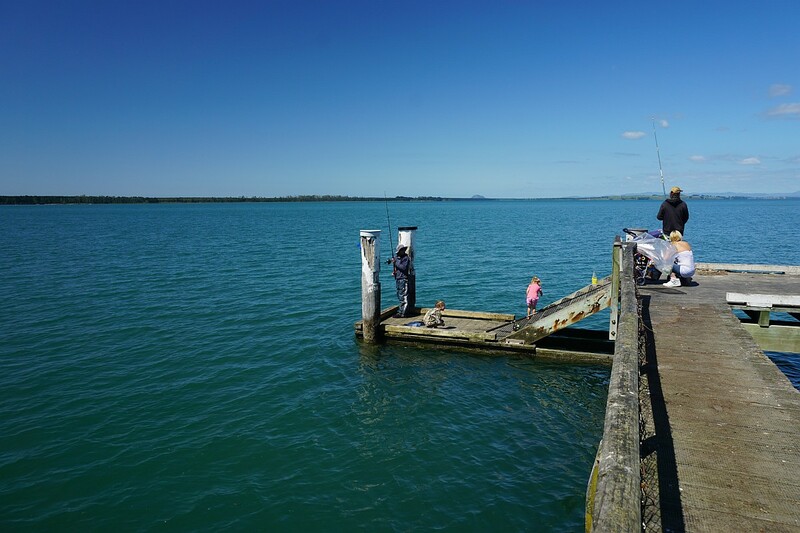 At Kauri Point there is a 200-metre long wooden jetty which is a popular location for fishing. 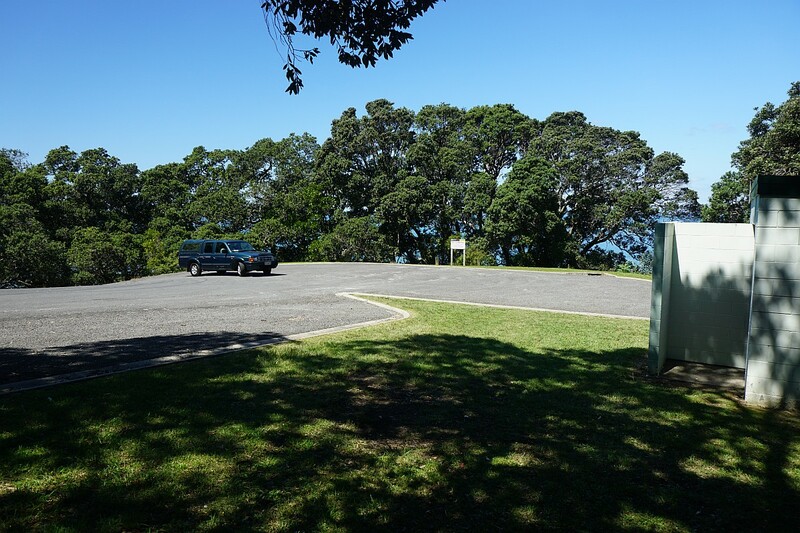 There is a parking area with a toilet at the southern end of Chelmsford Street, off Kauri Point Road, and it is also possible to park by the reserve on the corner of Chelmsford Street and Kyber Pass. The track can also be accessed from the reserve. This walk was done from the parking area by the toilets, along the jetty, north to Ongare Point, and back to the reserve and the carpark. 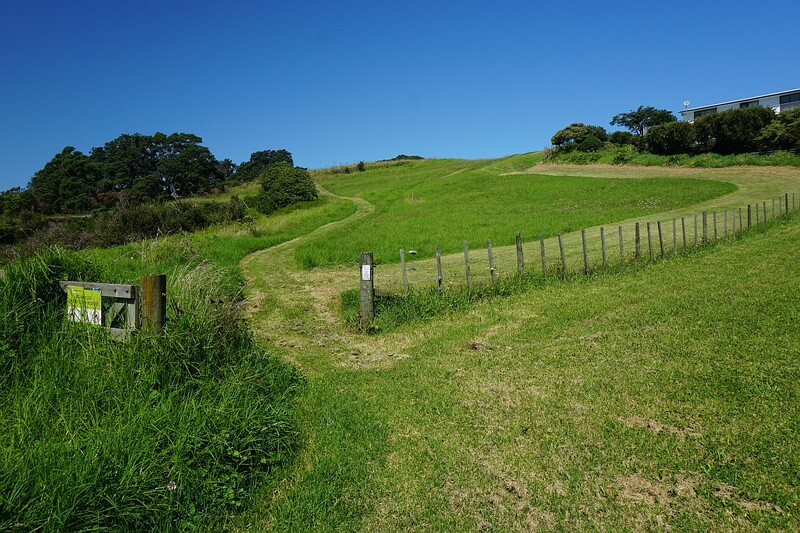 Some years ago the Western Bay of Plenty District Council published a small booklet, Walking Tracks of the Western Bay, which included a number of short walks such as the one at Kauri Point Historic Reserve. The booklet is apparently no longer published or updated, but a downloadable pdf version of the latest issue, taken from a resident’s guide, should be available. Currently it’s from 2014 and can be found on the WBOPDC web site by searching for walking tracks. One of the results should have the name of the booklet as the heading. 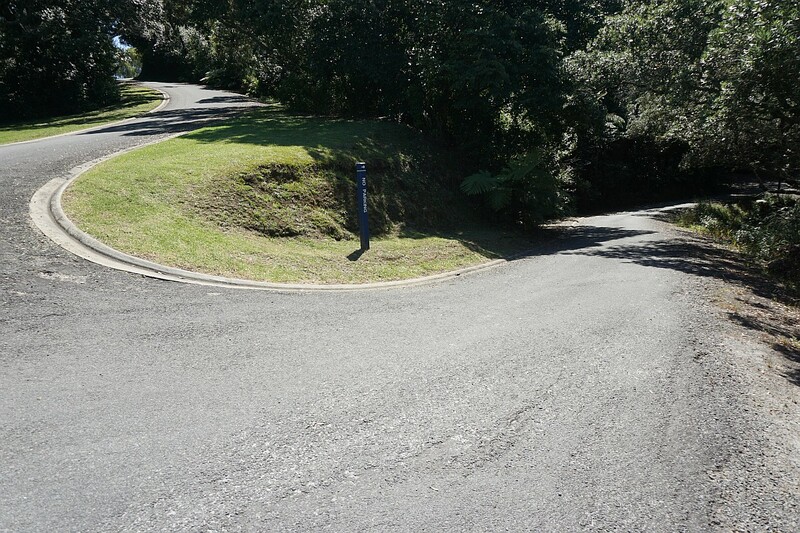 The Kauri Point Historic Reserve on the corner of Chelmsford St and Kyber Pass. The track starts in the trees to the far right. 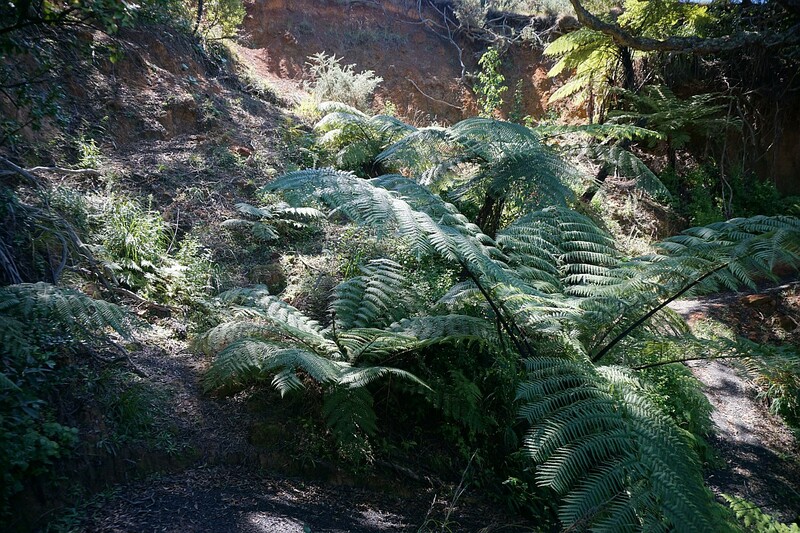 The start of the track off Kauri Point Historic Reserve, just right of centre, with a marker hidden in the shade of the trees. The track leads down a number of steps to the boat ramp and jetty at the end of Chelmsford St. The parking area and toilets on Chelmsford St. 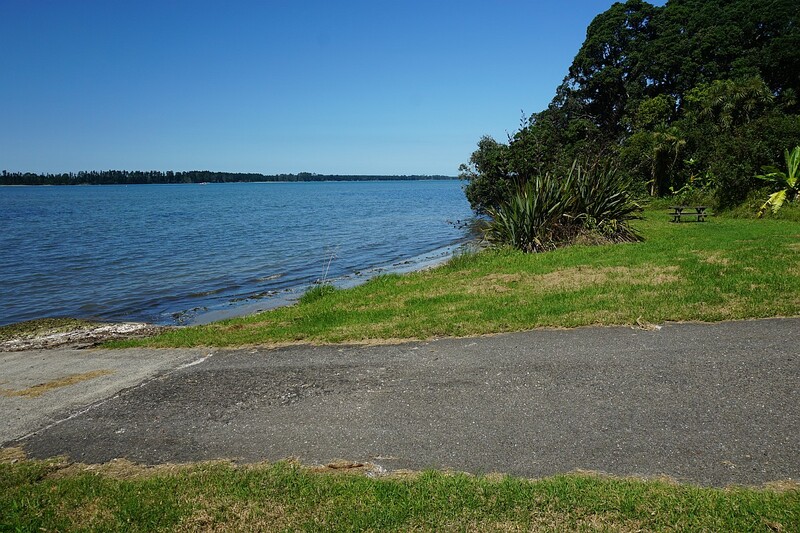 The track is also accessible from here by walking down the hill the the left behind the vehicle, to the end of Chelmsford St and the jetty and boat ramp. The road on the right leads down to the jetty. The sign clearly says there is no parking further down, but despite this it’s not unusual to find vehicles parked there. The vehicles may even be parked right on the walking track, making access difficult. 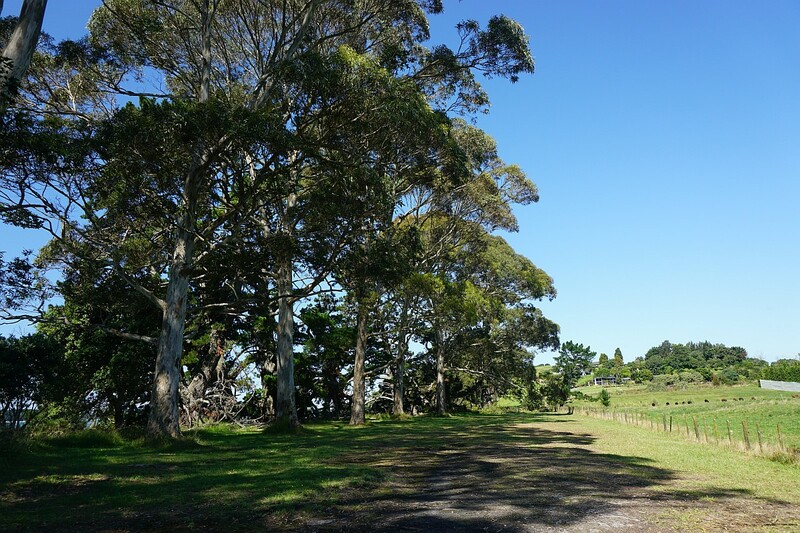 The steps on the far left lead up to the Kauri Point Historic Reserve. 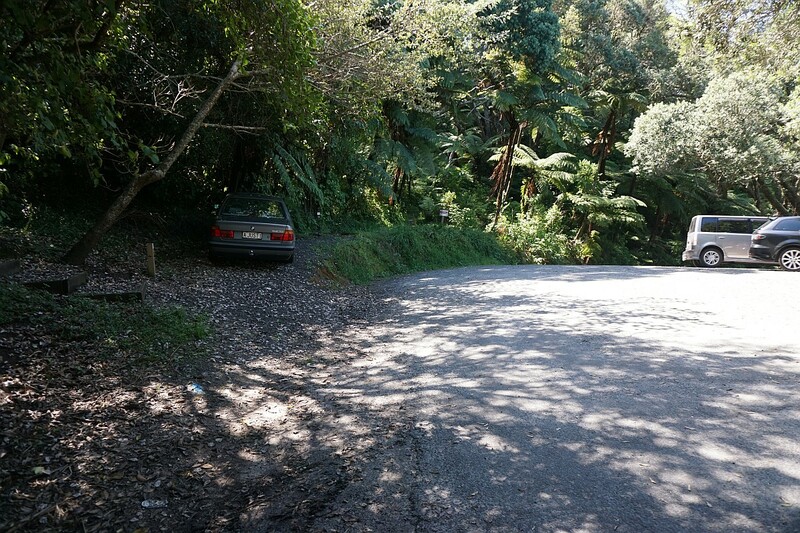 The track blocked by the car is the walking track to Kauri Point and Ongare Point. Access to the jetty is off the photo to the right. 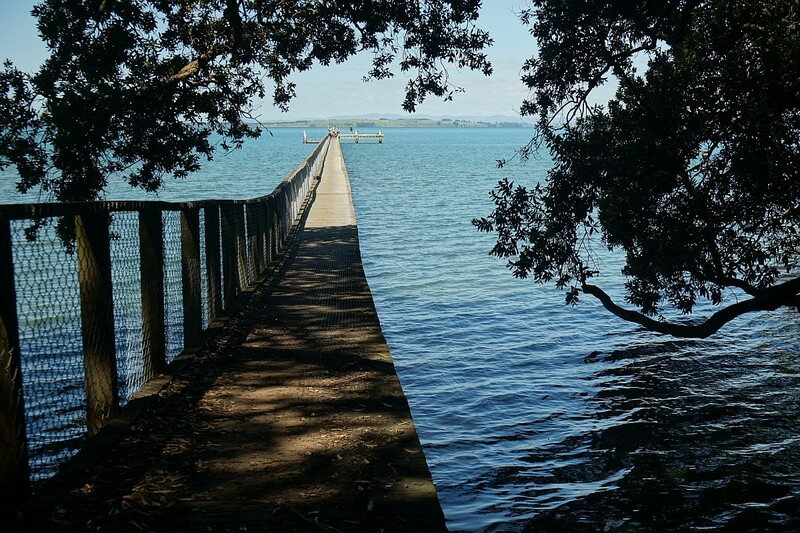 The wooden jetty at Kauri Point. The jetty is a popular fishing spot. The tide was incoming and near its highest point. Looking back to Kauri Point from the end of the jetty. 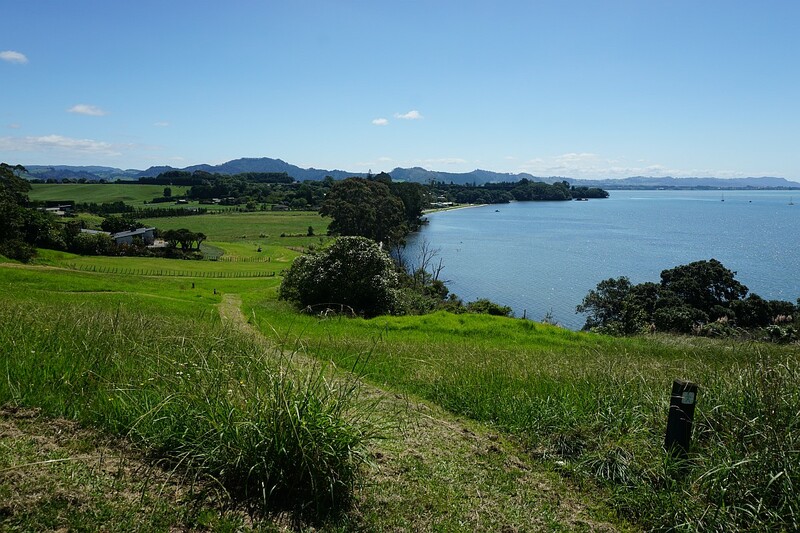 Looking back at the jetty from the walking track, with the Kaimai Range in the background. 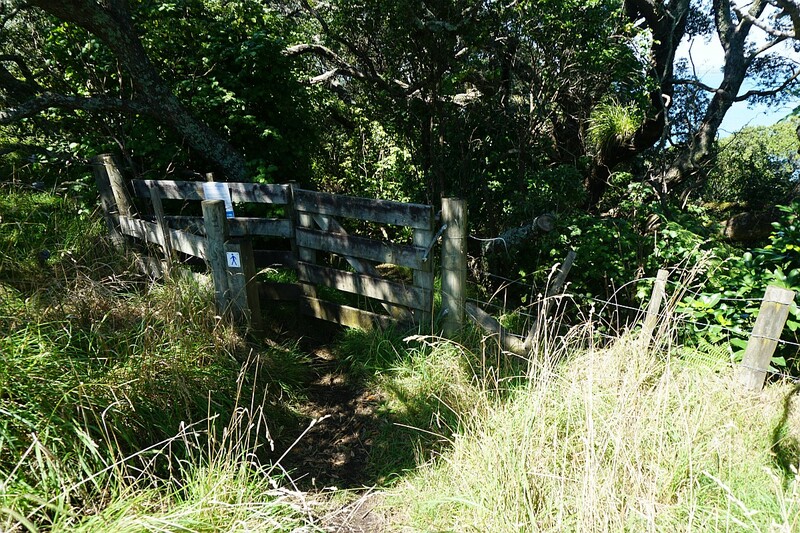 The walking track along the southern end of the point is narrow and steep in places, and can be affected by slips and washouts. Here the track has been reconstructed across a slip. 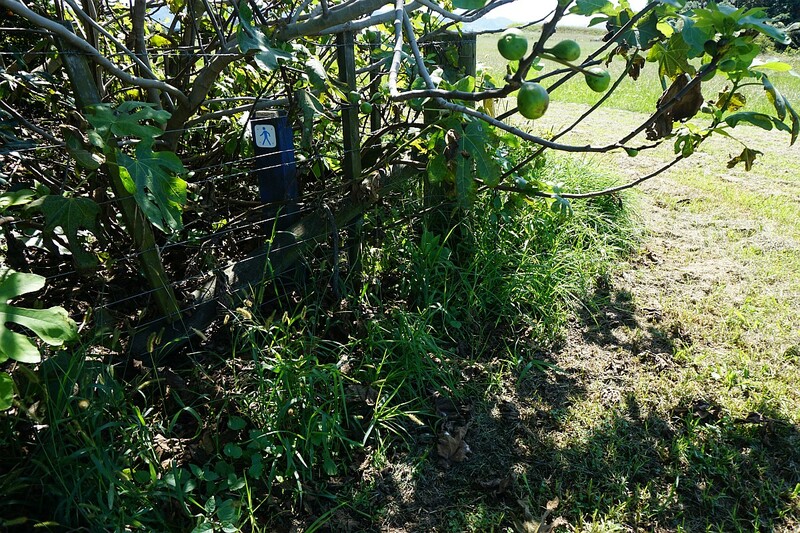 The soil can be slippery when wet, and the track is narrow due to another small slip. The track climbs up the hillside and emerges onto a reserve by a pa site. From here it is possible to follow the fenceline to the north, or cross over the grass area to the southern end of Esplanade Road and then walk along Esplanade Rd to the northern end. The trenches on the pa site are still visible. The site itself is fenced off. There are a few track markers, but some of them are well hidden. It’s not clear which way the marker is pointing. Looking from the northern pa site down the hill towards Ongare Point. The track continues down the mowed strip and continues along the waterfront. Looking back from the bottom of the slope, up the mowed track to the pa site. Keeping a constant watch over the harbour. A small vineyard on the slopes above the walkway. The walkway follows alongside a row of large eucalyptus trees by the waterside before emerging onto Esplanade Road at Ongare Point. 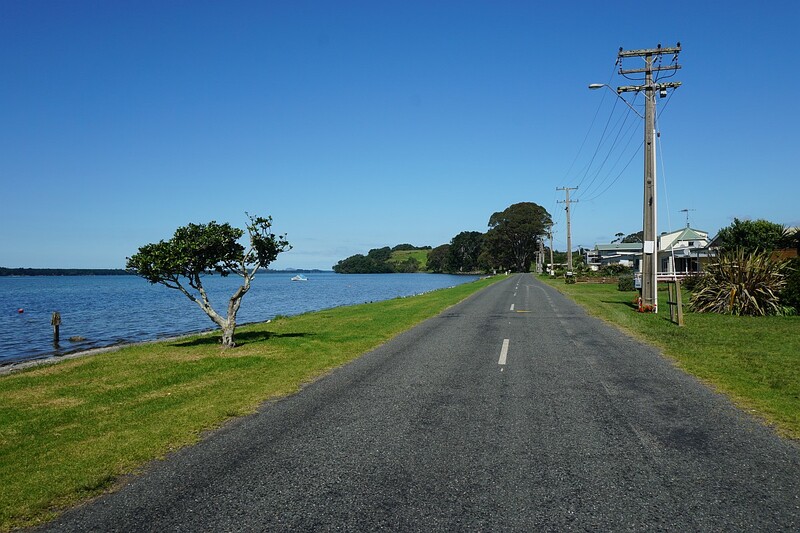 Looking back to the south along Esplanade Road at Ongare Point. 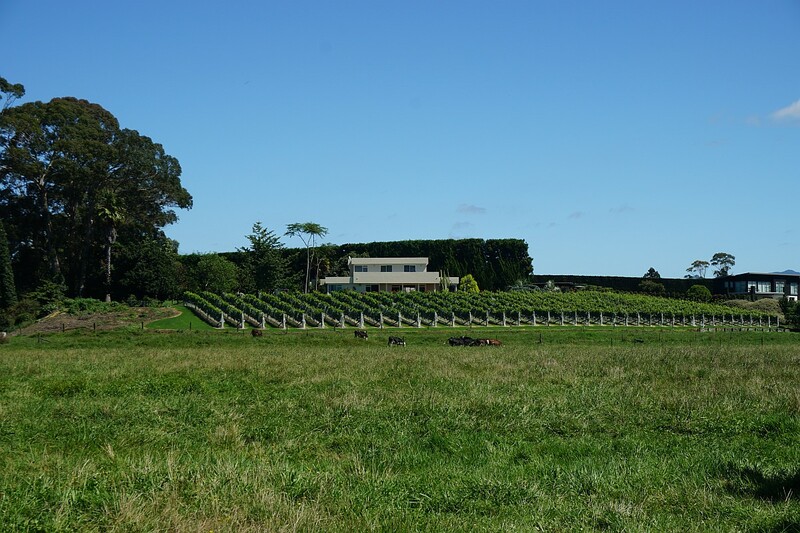 The pa site can be seen in the distance above the grassed hillside. 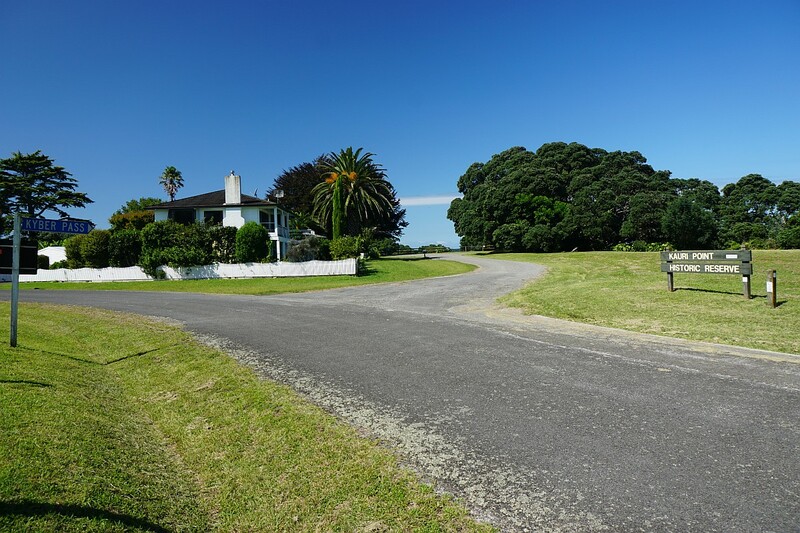 Looking north along Esplanade Road at Ongare Point. There are toilets where the road turns left onto Harbour View Road. 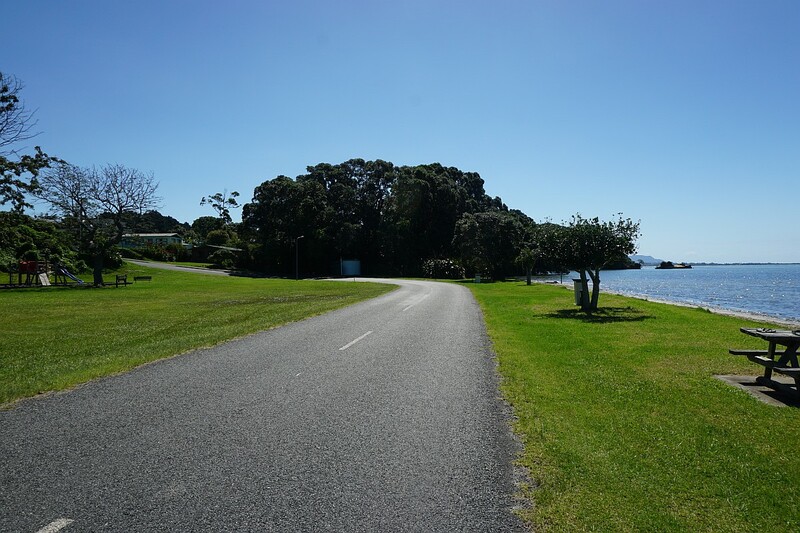 There is no track following the coastline to the end of Ongare Point Rd, so a detour has to be taken up Harbour View Rd and then down Ongare Point Rd to the boat ramp at the end of the road. 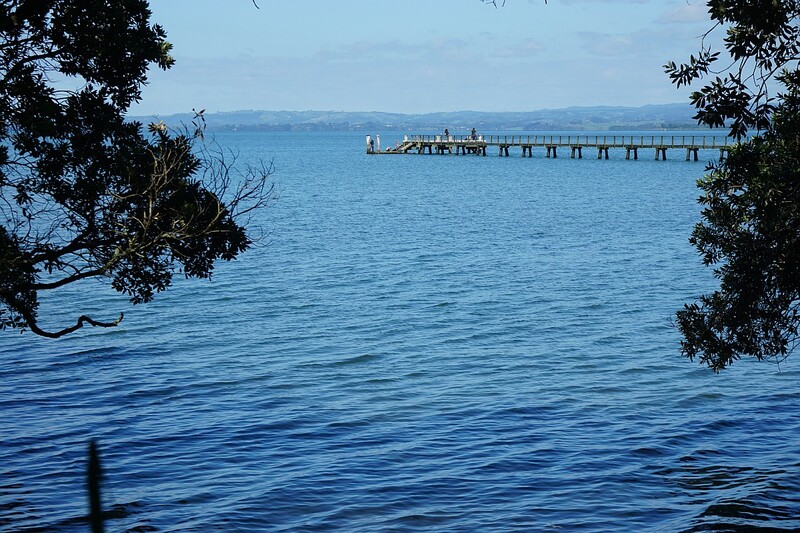 View across the harbour to Matakana Island from the boat ramp at the end of Ongare Point Road. 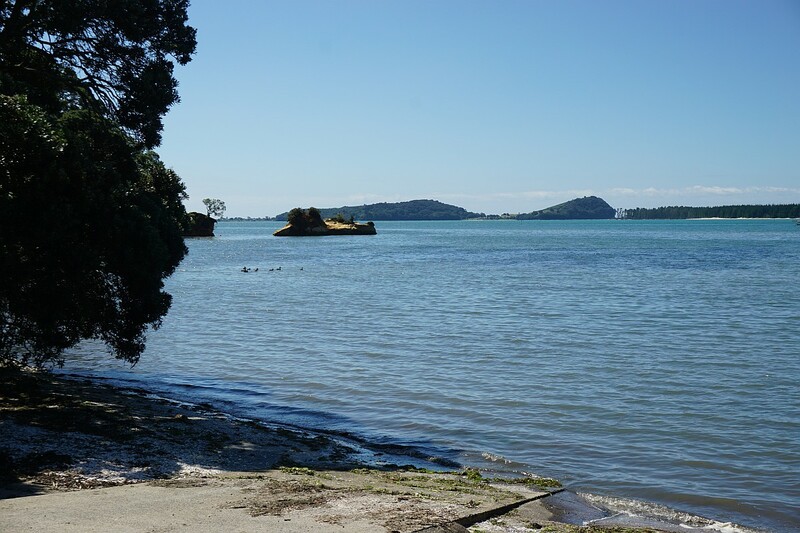 View from the boat ramp at the end of Ongare Point Rd, across the harbour to Bowentown hills, and to Matakana Island with pine plantations to the right. The GPS tracklog shows the route followed, starting and ending at the southern end. The small loop shows the track up to the reserve, and back down Chelmsford St. The total walking distance, including the jetty, was about 6.3 km, with a time of 1 hour and 40 minutes. 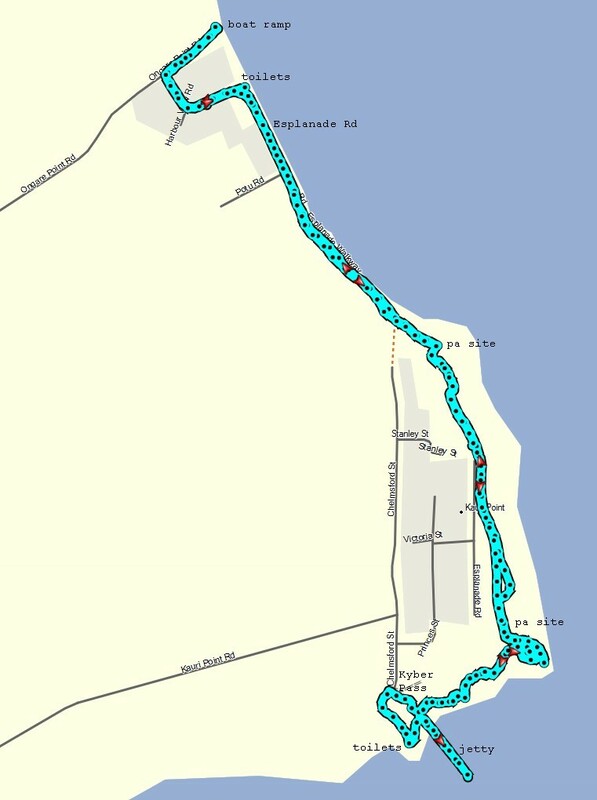 From the parking area on Chelmsford St to the southern end of Esplanade Rd at Ongare Point, including the jetty, was 2.6 km with a time of 45 minutes. 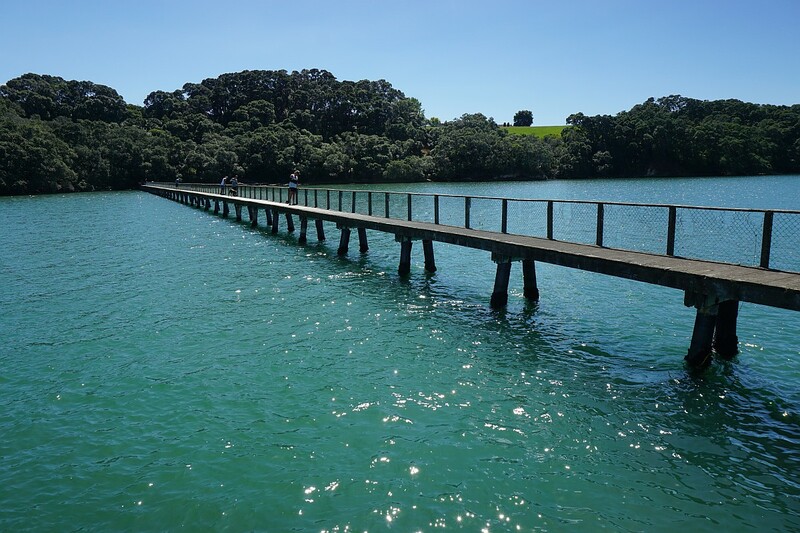 The return walk to the Kauri Point Historic Reserve, excluding the jetty, was 2.1 km and a time of 35 minutes. 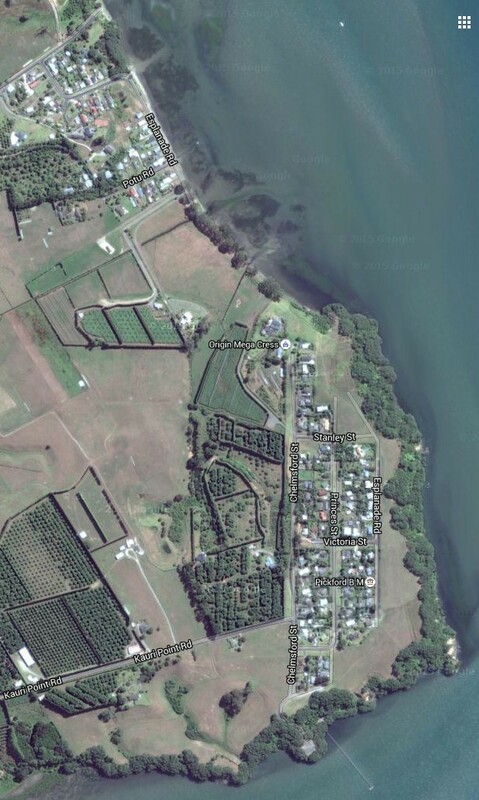 The satellite image, taken from Google Maps, shows the same area in more detail. The track was walked on March 3, 2016. 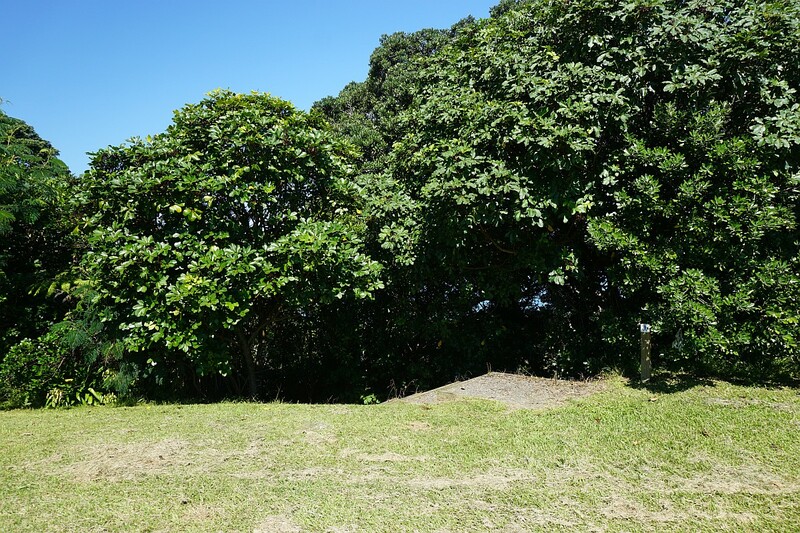 This entry was posted in Walks and tagged Katikati, Kauri Point, Ongare Point on 2016-03-05 by nzartig.